In June 2005, at an Irish pub in Marunouchi, Tokyo's financial district, Sasaki, the head of a financial derivatives research and development unit at a Japanese megabank, showed me a document stored in his PDA. He had drafted this document for use in training the younger members of his unit. At the beginning of the document, Sasaki asserts, "The source of profit in capitalism is difference [sai]." He cites Venisu no Shonin no shihon-ron (A theory of capital according to The Merchant of Venice), a 1985 book by Katsuhito Iwai (Iwai  1992), an MIT-trained University of Tokyo economics professor and influential public intellectual. In this book, Iwai interprets the melancholy of Antonio, the play's protagonist, as a symptom of his eventual defeat by the force of money-that is, in Iwai's own terms, by capitalism's exploitation and elimination of difference (sai). Sasaki repeated Iwai's contention that in all forms of capitalism, from merchant capitalism to industrial and postindustrial capitalism, the source of profit has always been difference of one kind or another. If profit making in merchant capitalism is based on the difference in the prices of a commodity at two geographical locations, industrial capitalism seeks to exploit the "difference between the value of labor and the value of what that labor produces," while postindustrial capitalism seeks to exploit the difference in the price of information at two temporal locations, the present and the future (Iwai  1992: 58). The financial derivatives business is the same, Sasaki argued. The value of a financial derivative product, whether a futures contract (a contract to receive or deliver an asset at a preset price on a preset date) or an options contract (a contract to buy or sell the right to receive or deliver an asset at a preset price on or before a preset date), is defined in terms of-or derives from-the value of its underlying asset, such as a company stock, a stock index, a commodity, or a combination of such assets. Any difference in the market price of a derivatives product and its underlying asset becomes a source of profit. The derivatives business, therefore, is all about the "creation of difference" (sai no sozo) between a derivatives product and its underlying asset, which Sasaki quickly paraphrased as the creation of "arbitrage opportunities." In Sasaki's view, arbitrage is the fundamental "principle" (genri) of capitalism. In the late 1980s, Sasaki was part of a group of young traders assembled inside the major Japanese securities firm I call Sekai Securities. Sasaki joined the team in 1988 from a doctoral program in mathematics. The team was originally formed in August 1987, following the government's decision to allow Japanese institutional investors to participate in overseas financial futures markets. The team's founder, Aoki, was the young traders' intellectual leader. Before establishing the team, Aoki had spent four years-from 1981 until 1985-in Sekai's New York branch. While in New York, Aoki learned to trade options. He was acquainted with an American trader who worked for a major U.S. investment bank and who, Aoki recalled proudly in his conversation with me in the fall of 1998, considered him "very promising" (yubo) and decided to teach him how to trade options on U.S. Treasury Bond futures. This American trader even allowed Aoki to use his investment bank's computer system to practice trading options. Later, Aoki wrote an introductory book in Japanese on options trading. Aoki's stay in New York coincided with the time when proprietary trading was a highly profitable activity for U.S. investment banks. Aoki was introduced by his American trader friend to John Meriwether, who was then the head of Salomon Brothers' legendary proprietary trading team, the Government Arbitrage Group, and who later founded the hedge fund Long-Term Capital Management. Meriwether explained to Aoki that "relative value trading" was the primary strategy of U.S. investment banks' proprietary trading teams. When he heard about Meriwether's relative value trading, Aoki thought that arbitrage would become important in Japanese financial markets in the near future. When Aoki was entrusted by Sekai's management to establish a team devoted to derivatives trading, therefore, his focus was sharply on proprietary trading and arbitrage. In the fall of 1988, the team consisted of four traders, two based in Tokyo, including Sasaki, the other two in Osaka, where futures and options contracts on the Nikkei 225 index had been recently launched. The team also included three system engineers, including Tada, who later became the head of the team, and two administrative assistants. Aoki immediately began to train these young mathematicians and engineers in basic theories and techniques of finance and Wall Street-style proprietary trading, and he instructed them to search for arbitrage opportunities. It was in this context that Aoki introduced the economist Iwai's interpretation of The Merchant of Venice to his proprietary trading team. Ultimately, the book would provide a philosophical foundation for the team as a whole. In this sense, Sasaki's handout offers a window into his reading and other intellectual practices associated with his trading career. Before returning to Sasaki's handout and examining its content and background, I turn to Katsuhito Iwai's interpretation of The Merchant of Venice and Sekai Securities proprietary traders' response to it. In his book, Iwai seeks to offer a solution to the famous problem of Antonio's weariness, which opens the play: "In sooth, I know not why I am so sad." "What 'sad role' does he have to play?" Iwai asks (Iwai  1992: 11). In order to understand Antonio's weariness, Iwai argues, it is essential to approach the plot of The Merchant of Venice in terms of the dynamic process of capitalism. From this standpoint, Iwai asserts, Antonio's weariness is a symptom not so much of his internal state of mind (p. 10) as of an external cause, the "irreversible" transformation prompted by capitalism (p. 13). By the "irreversible" transformation, Iwai means the ultimate defeat of communal Roman values, which Antonio represents, by the force of money, which Iwai sees as represented by Portia. The Merchant of Venice has served as an important source of inspiration in a wide range of writings on money and finance, from economic analyses of financial markets (see, e.g., Markowitz 1999) to critiques of capitalism (see, e.g., Maurer 2005c: 136; see also Marx  1990: 399, 400, 618n30). Numerous efforts also have been made to interpret the play in terms of its economic and financial content. These interpretations have presented divergent configurations of ethnoreligious and economic values as represented by different characters in the play, as well as divergent thematic emphases, from usury (see, e.g., Draper 1935: 39; Pettet  1969), to exchange (see, e.g., Engle 1986; Newman 1987; Sharp 1986), to the importance of law in economic transactions (see, e.g., Benston 1991; see also Scott 2004; Sokol 1992; Spinosa 1994). In his influential essay "The Wether and the Ewe: Verbal Usury in The Merchant of Venice," Marc Shell uses Shakespeare's play to demonstrate the parallel between financial and literary economies and his more general thesis concerning the "participation of economic form in literature and philosophy, even in the discourse about truth" (Shell  1993b: 4; see also Osteen and Woodmansee 1999: 15-16). In particular, Shell draws attention to what he terms Shylock's "verbal usury": "As the Jew uses moneys ... to supplement principal, so he uses puns to exceed the principal meanings of words" (Shell 1982b: 50). Shell goes on to show how Antonio starts using puns like Shylock and becomes a "usurer" himself (p. 72). If Shell demonstrates the blurred boundaries between finance and fiction, and money and language, Iwai demonstrates the way money seeks to eliminate difference of all kinds. The focus of Iwai's argument is the idea of difference and his view of capitalism as the repetition of a single form of exchange that "mediates" (baikai) and eliminates difference (Iwai  1992). Antonio's long-distance trade serves as the prototype of this recurring form. Iwai draws attention to Antonio's role as both a man of "ancient Roman honour" (The Merchant of Venice III, ii, 294) and a merchant engaged in long-distance trade (Iwai  1992: 17). Iwai points out that Antonio's dual belonging to the Roman world of communal brotherhood, on the one hand, and to the world of merchant capitalism, on the other, is made possible by the dependence of merchant capitalism on spatial distance between communities engaged in trade (pp. 18-20). Long-distance trade is predicated on the existence and "arbitration" (chukai) of a difference in the price of a commodity in two distant locations (pp. 17-18). Iwai's ensuing discussion of The Merchant of Venice focuses on how such exploitation of an initial difference in price eventually eliminates that difference and, through an equalization of price, demands a search for further difference elsewhere (pp. 67-68). Iwai sees a similar exchange relation in the practice of money lending in Venice. In Iwai's view, the confrontation between Antonio and Shylock stands for the antagonistic and yet "mutually interdependent relationship" between Venice's two separate communities, Christians and Jews (p. 29; cf. Auden 1991: 61). For Christians, who were prohibited from lending money at interest, Jewish money lenders were indispensable (Iwai  1992: 23-29). To Iwai, the practice of money lending in Venice was like long-distance trade in that both capitalized on the distance between two communities. Iwai also draws attention to how the practice of money lending itself is predicated on the existence of a difference of a sort, that is, "the difference between the present value of money and the future value of money" (p. 25). In juxtaposing long-distance trade with money lending this way, Iwai highlights not only the parallel between merchants and usurers often pointed out in commentaries on the play (see, e.g., Cohen 1982; Shell  1993b) but also the process of replicating (or re-creating) difference that is central to the dynamism of the play and to capitalism. In Iwai's terms, this dynamic transformation of capitalism is best depicted in the figure of Portia. He explains that Bassanio's journey to Belmont to win Portia, one cause of which is Antonio's financial debt to Shylock, is itself a replication of long-distance trade (Iwai  1992: 47-49). In Iwai's analysis, however, Bassanio's quest for Portia ultimately unleashes the full force of money (pp. 54, 59). For Iwai, Shylock's initial offer not to charge Antonio interest but to lend him money as a "friend" ("Supply your present wants, and take no doit / Of usance for my moneys" [I, iii, 135-136]) anticipates the breakdown of the boundaries between Venice's two communities (pp. 29-30). In the famous trial scene, Shylock demands that the bond be honored, while the Duke of Venice asks for mercy. Portia, who presides over the trial disguised as a legal scholar, plays the "trickster" role to complete the exchange between mercy and law (pp. 34-39). Iwai asserts that "the principle of equivalent exchange or the logic of law [as expressed in Shylock's repeated reference to the bond] was given from the Jewish community to the Christian community whereas 'mercy' was given from the Christian community to the Jewish community. However, as a result of this exchange, each of the two communities thus mediated was deprived of its own distinctive quality and its integrity as a community was lost" (p. 39). In Iwai's view, Portia is a symbol of money: "The first 'work' of Portia, that is, now freely circulating Money, was to travel secretly from Belmont to Venice and intervene in the trial about the human flesh as a trickster. In that trial, Money, that is, Portia, mediates the difference between the Christian and Jewish communities and accomplishes an exchange of a sort between them" (p. 59). Iwai's point is that Portia's method is long-distance trade (p. 59). In the trial, Iwai points out, Jessica, another symbol of money, ends up receiving part of Shylock's assets (p. 60). Antonio emerges as an embodiment of obsolete "ancient Roman" values as Bassanio, Gratiano, and Lorenzo each unite with Money. Iwai therefore sees the cause of Antonio's weariness in his defeat by capitalism (p. 69). The Merchant of Venice, according to Iwai, is a story about the mechanism by which money increases itself: "Profits originate from difference between two value systems. Profits are born out of difference" (p. 58). This basic mechanism of profit making applies to all forms of capitalism: merchant, industrial, and postindustrial (p. 58). Here Iwai makes the difference among different kinds of capitalism itself disappear. He also argues that in capitalism the source of profit needs to be sought on an increasingly abstract terrain, because profit making eliminates all obvious differences (pp. 67-68). In light of the long-standing debate about the play, Iwai's interpretation of it can be disputed point by point. For example, Iwai's understanding of the contrast between Antonio and Shylock as representatives of ancient Roman values and capitalist values, respectively, is perhaps too one-dimensional. Likewise, the antagonism between Jewish and Christian communities in Venice is perhaps exaggerated. Moreover, Iwai's structuralist equation of Portia with Money also problematically eliminates Portia's agency. Finally, Iwai's tendency to reduce the plot to a single theme and procedure repeated over and over may not do justice to the complex and ultimately unresolved quality of the play (see, in particular, Cohen 1982). Yet Iwai's interpretation of the play inspired Aoki, the founder of the Sekai Securities proprietary trading team, and his traders, including Sasaki, in a particular way. As I have already noted, Iwai's central argument is that profit making in all forms of capitalism lies in the continual search for difference, which Sasaki interpreted as equivalent to the continual search for arbitrage opportunities. Aoki recalled in July 2005 that he had been struck by Iwai's insight that the source of profit in capitalism is difference: "It made the scales fall from my eyes." Aoki was impressed by Iwai's insight about how the working of the principle of arbitrage in Shakespeare's play demonstrated arbitrage as a time-tested principle and strategy, reaching all the way back to the age of merchant capitalism. In this view, the principal means of profit making in capitalism is arbitrage, and all forms of trading are variations of arbitrage. Sasaki told me that his handout reflected this understanding of capitalism that he had "inherited" (keisho) from Aoki. What struck me when Sasaki told me about Iwai's interpretation of the play was his indifference to the reductionist tendency of Iwai's interpretation. Shakespeare's play is widely known in Japan, and Japanese elites such as Aoki and Sasaki, who were educated at the country's highly competitive secondary schools and universities, would be familiar with the play's details. However, neither Aoki nor Sasaki had much to say about those details, or Iwai's choice not to address them. Their attention focused, rather, on Iwai's general observation that the source of profit making in capitalism is difference, which, in the traders' own terms, is equivalent to arbitrage opportunities. How did the economist's engagement with Shakespeare's play generate this effect? For Aoki and Sasaki, the originality of Iwai's observations lay not so much in his interpretation of each scene of the play as in the overall effect Iwai's argument seems to have generated: it reduces The Merchant of Venice to a demonstration of a single economic principle-the identification, exploitation, and elimination of all differences. What Aoki and Sasaki saw was the logic of arbitrage replicating itself across different levels of Iwai's interpretation of The Merchant of Venice. Arbitrage as the core principle of capitalism consistently searches for new difference to exploit. As arbitrage eliminates difference, it also eliminates the agents of arbitrage. For example, Antonio and Shylock, practitioners of two different kinds of arbitrage (long-distance trading and money lending) recede to the background as Portia mediates the exchange between the two. In Iwai's interpretation, even this arbitrageur extraordinaire, Portia, ultimately loses her identity as she completes her various arbitraging moves and becomes merely a force of money. Following this reading, one may add that Iwai also implicitly replicates arbitrage as his own interpretive strategy. Iwai's interpretation itself arbitrages the difference between fiction and finance-it analyzes arbitraging moves in the play as it arbitrages the play itself. The play, and its distinctiveness (or, difference), disappear in Iwai's theory of capitalism. Iwai's interpretive arbitrage strips the play of everything but the principle of arbitrage. One may conclude that Aoki and Sasaki's indifference to the missing details in Iwai's interpretation was an effect of Iwai's own interpretive arbitrage. Like Iwai's interpretation of The Merchant of Venice, in which characters in the play lose their identity one by one, the trajectories of Sekai traders' professional careers may reveal similar trajectories of capitalism's continual exploitation and elimination of difference, or, in Aoki and Sasaki's terms, arbitrage. To anticipate my argument, by the time the reader reaches chapter 6, the principle of arbitrage will seem to have replicated itself across different spheres of life, from derivatives trading to traders' personal lives, as it encounters and eliminates differences one after another. To the extent that Sekai traders have treated arbitrage as the core principle of capitalism and even the core principle of life, they too have found themselves arbitraged. Arbitrage served, for Aoki and his traders, as one of the most important trading strategies, in both practical and theoretical terms. In 1988, under Aoki's leadership, Sasaki and other traders embarked on arbitrage operations in Japan's newly establishedstock indexfutures markets. The Nikkei 225, Japan's representative index, is computed on the basis of 225 stocks selected from those traded at the Tokyo Stock Exchange. The operations typically entailed the simultaneously buying and selling of futures on the Nikkei 225 stock index, traded at the Osaka Stock Exchange, and all the 225 stocks comprising the index at the Tokyo Stock Exchange. This form of arbitrage was relatively simple and profitable. The index futures were consistently overvalued relative to their theoretical "fair" value, and Sekai traders easily locked in profit by simultaneously taking a short (selling) position in the futures market and a long (buying) position in the cash market. Due to its initial success in these operations, the team expanded in the spring of 1989 to include six traders, three system engineers, and two assistants. In 1989, it was reorganized into an independent division with ten traders, three system engineers, and three assistants. The size of the team's index arbitrage position calculated in terms of the size of the maximum position allowed in the cash market also had grown to 30 billion yen ($230 million) by the spring of 1989. After its reorganization into an independent division in May 1989, it exceeded 100 billion yen ($690 million) and, by the end of 1991, it had reached 200 billion yen ($1.3 billion). However, by 1992, arbitrage opportunities seemed to be disappearing from the Nikkei 225 stock index futures market (see chapter 3; see also H. Miyazaki 2003). Sekai traders then shifted their arbitrage operations to TOPIX, Japan's other major stock index, which is based on the averaged prices of all stocks traded at the Tokyo Stock Exchange. Arbitrage in the TOPIX futures market was always far more complicated than arbitrage in the Nikkei 225 futures market because it would be practically impossible to buy and sell all the stocks traded at the Tokyo Stock Exchange. Arbitrage operations in the TOPIX futures market required a complicated process of virtual replication of the movement of the index with a basket of selected stocks. Sekai traders devoted much time to refining their replication technique for arbitrage in the TOPIX index futures market (and Sasaki's colleague, Ibuka, claimed that the Sekai Securities index arbitrage team had developed the most accurate method of replication). Still, it was far less profitable than arbitrage in the Nikkei 225 futures market. In Sekai traders' view, they would need to keep fine-tuning their technologies in their search for less self-evident arbitrage opportunities or shift their arbitrage operations to new markets. In this sense, arbitrage contained within itself a propensity for continual redeployment elsewhere. By the mid-1990s, Sekai traders had expanded their arbitrage operations to include other markets, such as the convertible bondmarkets. This affirms the view shared by theorists from Marx to Keynes, Schumpeter to Iwai of capitalism as a perpetual movement characterized by expansion and self-destruction (see, e.g., Iwai  1992: 68, 109; Keynes  1997; Marx  1990; Schumpeter  1983,  1975). For Sekai traders, arbitrage also served as a more general interpretive device. Despite their continual search for new arbitrage opportunities in new markets, Sekai's derivatives team struggled to make a profit. Several factors prevented the team from bringing to fruition its initial ambition to be like a Wall Street proprietary trading team. One major factor was the slow and hesitant manner in which the Japanese government deregulated the Japanese financial markets. While the traders were at Sekai, their activities were more or less confined to exchange-traded products and instruments, such as stock index futures and options and stocks traded in the cash market. They also regularly traded convertible bonds, option-like securities issued by a corporation that can be converted to the corporation's shares when certain preset conditions are met. "Over-the-counter" (tailor-made) derivatives, including swaps-which are contracts to exchange cash flows, such as fixed and non-fixed interests rates or currency exchange rates, at prearranged intervals for a specific duration of time- and structured finance products, such as securitization schemes, were still largely out of their reach. Still, Sekai's derivatives team did experiment briefly with equity swaps, or contracts to exchange an interest rate with a payment based on the movement of a stock index. But the Ministry of Finance informally banned these contracts in 1994, citing their possible infringement of the gambling clause of the Japanese Penal Code. A second factor impeding the team was the financial state of Sekai and other major Japanese securities firms in the 1990s. A series of scandals in the early part of the decade involving these firms' illegal dealings, such as their preferential compensation for losses incurred by certain important clients, weakened them considerably and made it impossible for them to establish a truly global operation in derivatives trading. By 1998, when I first encountered Aoki and the traders trained under him, they had faced the limitations of their ability to compete with their Euro-American counterparts. Sekai Securities itself eventually entered into a strategic alliance with a U.S. investment bank, and Sekai's derivatives operations were terminated. Tada, then head of the Sekai team, told me that "the Japanese social system as a whole was arbitraged," by which he meant that Sekai and other Japanese financial institutions had been too inefficient to compete with their Euro-American counterparts. Tada subsequently left Sekai to establish an investment fund, where he devised various kinds of new investment schemes. He spoke of these schemes in terms of his own effort to arbitrage Japan's inefficient markets (see also H. Miyazaki 2003, 2005b, 2006b).In these extensions of arbitrage as an interpretive device, Sekai traders alternately became both subjects and objects of arbitrage. In fact, it was this observation about Sekai arbitrageurs' extensions of arbitrage that prompted Sasaki to tell me in the summer of 2005 about Katsuhito Iwai's interpretation of The Merchant of Venice and its significance in his own and other Sekai arbitrageurs' intellectual trajectories. Sasaki suggested that Iwai's interpretation of Shakespeare's play confirmed their own commitment to arbitrage. It is important to note at this point, however, that Iwai never uses the term "arbitrage" in his interpretation of The Merchant of Venice. In Iwai's own terms, the engine of capitalism lies in the continual, and perpetual, search for "difference" in a new market. In Aoki and Sasaki's view, however, Iwai's interpretation of Shakespeare's play confirmed the centrality of arbitrage in capitalism. In this respect, Aoki and Sasaki themselves extended arbitrage to Iwai's interpretation of capitalism, and their reading of Iwai's text can itself be regarded as arbitrage of a sort. The rest of Arbitraging Japan can be regarded as an exposition of the significance of this particular reading of Iwai's text on the part of the Sekai traders, and my own extension of it. Arbitrage is a firmly established method by which financial instruments-such as futures, options, and other kinds of derivatives-are priced and traded. Arbitrage is a core category of modern financial economics and a standard trading strategy in investment banks and hedge funds. It is an ostensibly "risk-free" trading strategy that seeks to profit from discrepancies in the prices of economically related assets, such as baskets of stocks and futures contracts on those stocks, by simultaneously buying low and selling high before reversing the trades and unwinding the positions when the prices converge. The idea of "no arbitrage" is central to most pricing methods used in the derivatives business. The fair value of an asset can be calculated in relation to the hypothetical condition of no arbitrage-that is, market efficiency. Arbitrage is not a new idea. It has long been recognized as a style of trading distinct from speculation, which is based on betting on a particular future price movement. Max Weber distinguishes arbitrage as "a pure example of calculating the numbers" (Weber  2000: 344) as opposed to speculation, whose "success is dependent upon the onset of the expected change in the general price of the specific good" (p. 345; emphasis removed). Likewise, in his discussion of the role of the "knowledge of the particular circumstances of time and place," Friedrich A. Hayek mentions arbitrage as one of many forms of economic action that "are all performing eminently useful functions based on special knowledge of circumstances of the fleeting moment not known to others" (Hayek  1980: 80). In Japan, arbitrage has long existed as a trading strategy. In its technical use, arbitrage is usually translated as saitei (also meaning "arbitration") or saiteitorihiki ("arbitrage transactions"), but it is also known more informally as sayatori (literally, "the grabbing of a difference"). Nihon kokugo daijiten, the most comprehensive dictionary of the Japanese language, attributes the original use of the term saya (apparently derived from sai, or "difference") to Edo-period rice trading. Saya referred to the difference, exploited by some traders, between the price of a choaimai, or "on-the-book rice" contract-a contract to be settled without physical delivery-and the price of rice in the shomai, or "real rice" market, at the Dojima Rice Exchange in Osaka. As Ulrike Schaede has clarified in her study of the Dojima Rice Exchange, choaimai trading was essentially trading in rice bill (kome gitte) futures, while shomai trading was forward trading (Schaede 1991: 351, 354); in this context, sayatori was arbitrage between futures and forward contracts. Arbitrage has become a significant and powerful category since it emerged as a core idea in modern financial economics (see, e.g., Bernstein  1993; P. Harrison 1997; MacKenzie 2006). The idea of arbitrage has played a major role in the development of contemporary financial theory.Most theories of asset valuation take for granted that arbitrageurs swiftly discover and profit from mispriced assets and, in so doing, keep financial markets efficient.In financial economics, therefore, the value of derivatives products, such as options, is usually computed by assuming a hypothetical condition in which there are no arbitrage opportunities between economically related securities because arbitrageurs have already seized all such opportunities (see, e.g., Hull 1997: 12-13; Neftci 2000: 13; Ross 2005). This computation, in turn, helps arbitrageurs to spot and exploit arbitrage opportunities, because any variability in asset price from one market to another suggests that the assets have not yet been arbitraged. As one standard textbook observes, "The very existence of arbitrageurs means that, in practice, only very small arbitrage opportunities are observed in the prices that are quoted in most financial markets" (Hull 1997: 12). Arbitrage is ironically so important that it is absent. As Philip H. Dybvig and Stephen A. Ross have noted, "Most of modern finance is based on either the intuitive or the actual theory of the absence of arbitrage. In fact, it is possible to view absence of arbitrage as the one concept that unifies all of finance" (Dybvig and Ross 1987: 104). The condition of "no arbitrage" is arbitrage's own starting point, as well as its endpoint. Arbitrage is also widely deployed by professional traders worldwide. Many investment banks' proprietary trading teams, hedge funds, and other significant market players in derivatives markets have adopted arbitrage or arbitrage-like relative value trading as their primary trading strategy. To the extent that the idea of no arbitrage lies behind almost all asset valuation models, investment bankers' over-the-counter derivatives business also follows the logic of arbitrage. Such extension-or overextension-of the category and practice of arbitrage, and the associated ambiguity of the category, is the central theoretical, methodological, and even ethical problem my ethnographic inquiry seeks to confront. Arbitrage can be extended to various markets and ostensibly mispriced assets, goods, and services; various forms of academic theoretical innovation; and various kinds of transactions. The extensibility of arbitrage also presents its own challenge to an analysis of arbitrage. Arbitrage is not only a theoretical construct of financial economics and a practical trading strategy but also an interpretive framework that is widely deployable to various phenomena, economic and otherwise. For example, arbitrage has sometimes been deployed explicitly as an analytical term in accounts of the development of financial theories and practices, as in Paul Harrison's description of the history of financial economics as a process of "intellectual arbitrage" (P. Harrison 1997). According to Harrison, neoclassical economists arbitraged the field of financial economics: "[The] success [of neoclassical economics in finance] is the success of intellectual arbitrage, and it cannot last because its own success eliminates the reasons for that success, erasing the opportunity" (p. 173). Harrison notes: "The successful application of economic theory in finance must be attributed to the notion of arbitrage. Not only could something 'scientific' be said about speculative market prices, but also the economics theory seemed able to explain reality. This made finance all the more palatable to economists. Arbitrage was the theoretical force behind each of the major economic innovations in finance" (p. 180). Harrison regards arbitrage as "the fundamental truth" and "an engine for innovation" (p. 185). Geertz draws attention to the way "the sebaibi connects suqs laterally" (p. 190) and contributes to the efficient working of the bazaar. I examine arbitrage's extensibility by extending it to a point at which it is no longer extensible. What follows is an ethnographic analysis of arbitrage as a modality of engagement in a historically specific location and time. My investigation focuses on a group of Japanese traders engaged in arbitrage operations of many different kinds, using futures, options, and other derivatives. My initial analytical focus is on the practice of arbitrage and its associated activities. These include the formulation of trading plans, the execution of trading orders, the drafting of various documents associated with risk management and regulatory changes, the development of trading and risk management systems, collaborative work with American financial economists, the translation of English-language texts concerning financial economics and trading strategies, and the coordination with exchanges and regulatory authorities. The pioneering Japanese derivatives traders whose career trajectories I examine in this book encountered the idea of arbitrage and stretched (and sometimes overstretched) the category to various objects. Tada's deployment of arbitrage with which I opened this book is one of numerous examples of such extension. Arbitrage has regularly served for Tada and other traders as a framework not only for investment decisions they make in the market but also for choices they make in their personal lives. Ultimately, arbitrage surfaced as more than just a trading strategy. For many of these Japanese traders, arbitrage became a principle of capitalism, of life, and even of mind. Arbitrage as a market positionality afforded them a distinctive general framework for approaching the world. This extensibility resides in arbitrage's ambiguity, lateral and relativistic perspective, and practical orientation toward its own endpoint. Seeing the parallel between market action and other facets of social life itself is a cause and effect of these traders' engagements with the extensible logics of arbitrage. I examine various kinds of thought and imagination inspired by the technical, aesthetic, and ethical features of arbitrage. In extending from external objects to internal matters, arbitrage has posed epistemological and ontological problems that have shaken the integrity of the category itself. My particular focus is on the ambiguity, instability, and indeterminacy of the category revealed in its extensions, not only for the Japanese traders who participated but also for my study itself. The latter point is important because it serves as a reminder of arbitrage's notably slippery status as a concept, a strategy, and a modality. Sasaki's handout ends with a section on further readings. He recommends some of the best-known texts in financial economics, including Fischer Black and Myron Scholes's canonical 1973 paper "The Pricing of Options and Corporate Liabilities" (Black and Scholes 1973), which introduced what would become the "Black-Scholes formula," the most widely used formula for pricing options contracts, and J. Michael Harrison and David M. Kreps's 1979 paper "Martingales and Arbitrage in Multiperiod Securities Markets," which replicates Black and Scholes's thesis using stochastic processes known as martingales (Harrison and Kreps 1979; see also Harrison and Pliska 1981). Sasaki also recommends Ioannis Karatzas and Steven E. Shreve's introductory textbook on stochastic calculus, Brownian Motion and Stochastic Calculus (Karatzas and Shreve 1988), as essential reading for appreciating the full significance of Harrison and Kreps's contribution to the development of financial economics. Sasaki's handout is implicitly autobiographical. Sasaki joined Sekai Securities in 1988, when he was a second-year doctoral student in mathematical physics. He told me in June 2000 that he had not been strongly motivated to become an academic, so he began to visit manufacturing companies to consider other career options, but he did not find their laboratories particularly interesting. However, when he visited securities firms, he became interested in options trading after learning that it demanded a knowledge of partial differential equations, which he routinely handled as a student in mathematical physics. Sasaki expressed his interest in options trading at his interview at Sekai Securities and was assigned to the firm's newly established derivatives team. He was immediately put in charge of the team's launching of index arbitrage operations. The bibliography included in Sasaki's handout listed the same academic works that had played the most important roles in this mathematician turned trader's own intellectual trajectory. For example, in his previous conversations with me, Sasaki had told me about the significance of Harrison and Kreps's 1979 paper in his own professional career. In Sasaki's view, Harrison and Kreps's work recast Black and Scholes's thesis in what he thought were mathematically more rigorous terms (cf. MacKenzie 2003a: 858). Sasaki had expressed to me his regret that he had not known of Harrison and Kreps's work until 1993, as previously his knowledge of financial economics had been based on a somewhat superficial understanding of Black and Scholes's paper. Sasaki had heard from his colleagues in Sekai Securities' research wing that in order to understand financial economics, one needed to have a sure grasp of stochastic processes, and in 1993, he decided to devote some time to updating his knowledge of stochastic calculus. Sasaki read Harrison and Kreps's paper and went on to carefully study Karatzas and Shreve's textbook on stochastic calculus (Karatzas and Shreve 1988). Sasaki told me that, for four months, he spent every weekend reading the textbook. Over the previous three years, Sasaki had actively sought opportunities to contribute to the knowledge of financial economics. He had acquainted himself with a finance economics professor through the professor's informal seminar. The professor, who was editing a dictionary of key words in financial economics, had commissioned Sasaki to contribute several entries. Sasaki also had participated in the translation of an introductory textbook in mathematics for finance. This was a collaborative project with two other early members of Aoki's derivatives team, both of whom had obtained doctoral degrees in economics after leaving Sekai Securities. Sasaki's next goal was to submit a paper to an academic journal like Stochastic Processes and Their Applications. In addition, Sasaki assembled young people from graduate programs in mathematics and encouraged them to write academic papers. In all these academically oriented activities, Sasaki said, he had sought to leave his footprint (sokuseki wo nokosu) on society. Sasaki's bibliographical autobiography and his dream of leaving an imprint on history may be regarded as his response to the paradox of the arbitrageur's self-canceling identity. In Sasaki's handout and dream, arbitrage remained the subject of his scholarly investigation, but he also managed to turn arbitrage-the method that he and his colleagues had used in their various investment activities-into a subject of pure contemplation. In other words, Sasaki's bibliographic referencing served as a device to offset arbitrage's propensity to eliminate difference while enabling him to stay focused on arbitrage itself as a subject, not as a method (cf. H. Miyazaki 2004b, 2005a). As arbitrage demands continuous extension to new markets and new economic terrains, it also invites extension as an interpretive framework in arbitrageurs' career strategies, personal lives, and general intellectual endeavors. In order to demonstrate this point, I opened this chapter with a mundane example of the use to which the idea of arbitrage is put. Sasaki's handout explains the basic mathematical procedures entailed in the pricing of financial derivatives in terms of the notion of arbitrage. I have sought to demonstrate that the handout's bibliography in turn brings to light the trader's own intellectual trajectory and personal dream, paying particular attention to Sasaki's reference to Iwai's interpretation of The Merchant of Venice in terms of the idea of the identification, creation, and exploitation of difference as the essence of capitalism. I have drawn attention to Sasaki's own extension of arbitrage to his interpretation of Iwai's book, which does not itself mention the idea of arbitrage. Sasaki's extension of arbitrage in turn has implications for my own task of writing about the trajectories of Sekai arbitrageurs' use of arbitrage as a trading strategy, a theoretical construct, and a modality of life. The challenge lies in how and when such extensions can be detected. Sasaki's bibliographical reference to what he saw as Iwai's interpretive arbitrage, which brings to light Sasaki's own intellectual trajectory and dream for the future, serves as a guide. Like Sasaki's bibliographical autobiography, my account of Sekai traders' arbitrage operations will take the form of bibliographical biography. My use of bibliographical biography as a mode of ethnographic account gestures toward three goals. First, in examining the books, academic papers, and various work documents that traders read, write, and cite, I seek to take their thinking seriously as a window into their practical and theoretical engagement with the market, and with capitalism more generally. Second, in identifying a variety of sources of intellectual inspiration, I seek to bring into view the loosely structured way that thinking takes place in the vicinity of professional work and practice. Third, in drawing attention to the way ideas travel, I seek to identify the intersections of Sekai traders' professional and personal dreams. 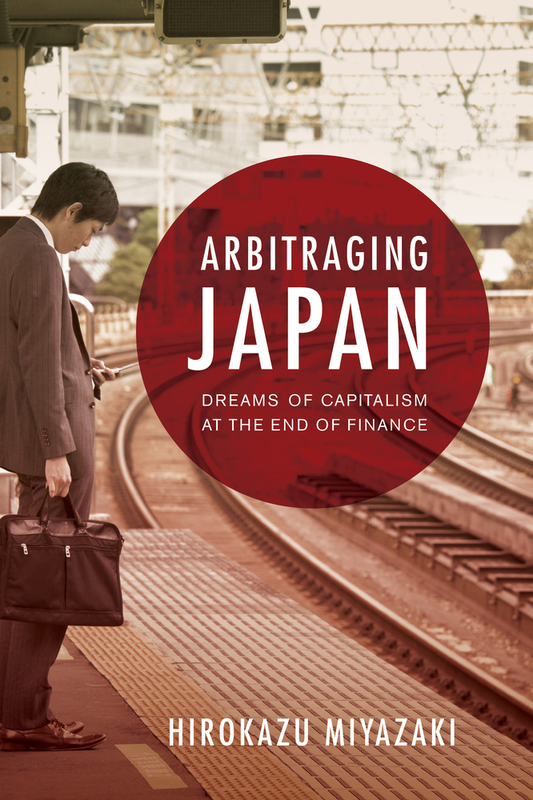 Sasaki's handout again serves as a model here: if Iwai's analysis ultimately foregrounds the perpetual movement of capitalism, Sasaki's handout points to both the endlessness of arbitrage and the endpoint of arbitrage, where another dream takes off. These dreams would not exist without a firm commitment to theories and techniques of finance. But they are also the substance of the market; without these dreams Soros is not Soros, and Sasaki is not Sasaki. That is, without these dreams traders are reduced to interests and motivations, which they would quickly lose. These dreams appear in articulation with but move in a different trajectory from theories and techniques of finance. In this way the virtuality of finance theory (such as arbitrage) generates and is supported by a second order of virtuality (such as personal dreams). Ultimately, a defining feature of both orders of virtuality is their ambiguous openness to the future. Rather than understanding the market as a collection of interests and motivations, I seek to recapture the possibility of seeing these orders of virtuality as parallel, coconstituting, and even arbitrageable. In this sense, the market is an economy of dreams. For many financial market professionals worldwide, the era of high finance is over. The times in which bankers and financiers were the primary movers and shakers of both economy and society have come to an abrupt halt. What has this shift meant for the future of capitalism? What has it meant for the future of the financial industry? What about the lives and careers of financial operators who were once driven by utopian visions of economic, social, and personal transformation? And what does it mean for critics of capitalism who have long predicted the end of financial institutions? Hirokazu Miyazaki answers these questions through a close examination of the careers and intellectual trajectories of a group of pioneering derivatives traders in Japan during the 1990s and 2000s. Hirokazu Miyazaki is Director of the East Asia Program and Professor of Anthropology at Cornell University.